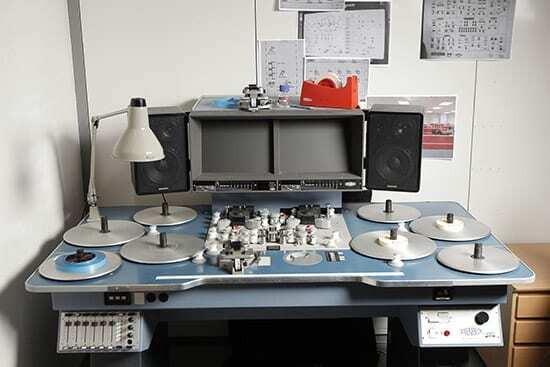 How can you become more efficient in the video production editing suite resulting in more profit? How can you maximize the time you invest in a video production edit? These are questions that any video production company owner asks themselves from time to time. As editing is such an involved and time consuming process, it’s important to get the most out of the time we invest infront of the computer. Intentionally write the script to make things easier for you in the edit. This is a solid rule to live by. A few things to watch out for in the script are areas where you won’t have any video or pictures to use to cover the narration or sound bytes from the person being interviewed. Not having enough b-roll will mean you’ll have to create motion graphic sequences and that can take hours or even days to accomplish. Instead of relying on graphics to save your tail, work hard to make sure you have enough b-roll, photography or stock footage so that you don’t have to spend a huge chunk of your budget filling holes in the video with time-consuming graphics. If you have control of the scriptwriting process, shame on you if you don’t write it so you can be more profitable in the edit process. 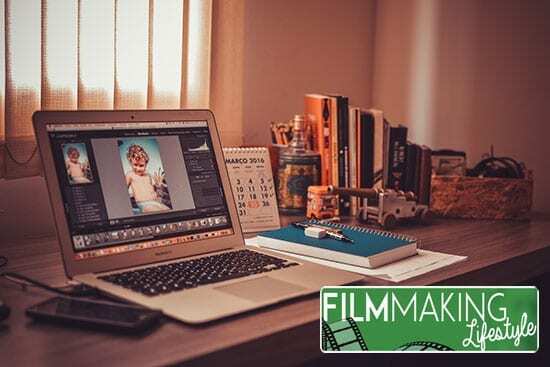 If your client writes the script, demand that you either have the budget necessary to capture enough shots or that they will provide you with stock footage or photography so that you don’t have to spend an inordinate amount of time in the edit process creating graphics to fill the holes. If you stick to your guns, they will either pay you more to create the extra material, or they will work harder to get you what you ask for. This means you don’t have to change your style or the way you approach the project. Now you can focus on what you do best along with providing excellent customer service. The client obviously thought the creative work represented on your demo reel was enough to satisfy their needs so now all you really have to do is communicate their message using your current technical and creative abilities. Now is not the time to figure out a new effect or to learn a new piece of software. Do that in your spare time or when you don’t have any projects to work on. It is certainly noble to give clients more than they expect but you can’t lose money in the process. A client will prefer a technically perfect edit with special effects sprinkled throughout much more than a project that is loaded with special effects but doesn’t do a great job telling their story. Your clients will appreciate the timing of your edits much more than how fancy you transitioned in and out of a segment. Simple dissolves, fades and cuts still go a long way in pleasing the customer. I will make sure an edit is technically sound before any graphics are added. Then, I’ll take a minimalist approach to adding graphics before showing it to the client for the first time. I’ll spend a few hours building an open, keep lower thirds and title segments appealing but simple to execute and will recycle these graphics for any other part of the video that requires additional graphics. The closing animation is usually something very similar to the introduction. This does a nice job ending the video and it makes sense in the client’s mind. The cost to purchase these packages is very affordable considering what you get and the time you will save trying to recreate something similar. Your clients will love how these graphics make their videos look and they won’t care or even know that you didn’t create them from scratch. See how they react to a creative treatment that looks good but didn’t take you a long time to create. If they are excited about it, ask them if they’d like you to apply the same treatment to the rest of the video. If they say yes…do it! You’ll save a ton of time, which results in more money for each hour you work on the project. If they aren’t happy, tweak it in their presence until they are happy. It usually doesn’t take much more than you showed them in the first place to make them happy. The only caveat here is that some clients will have a huge expectation as to how the creative visuals will be represented in their video. It’s your job to make that determination early on and to budget accordingly on the front end of the project. In my video production company, clients really don’t even know how many people I actually have working for me. The mystery is what makes it great. Is he a small company or a really big company? All they know and really care about is that I deliver — and I deliver better than all of my local competitors, who are fighting for the same level of project. The cool thing about tapping in to subcontractors is that you can expand and shrink your business based on customer demand. Good subcontractors are out there so keep looking. I encourage you to study the business model of a small general contractor that builds high-end residential homes. The general contractors are the ones who are the ‘experts’ and who spend all their time interacting with the customer and making sure the sub-contractors are completing their individual pieces of the puzzle to the customer’s satisfaction. Without actually laying bricks, installing showers or anything else, the general builder can manage dozens of homes being built at the same time. They simply drive around town all day checking in with their sub-contractors. Keep in mind that most builders have plenty of experience laying bricks, they just know that they can only lay so many bricks in a day — resulting in a finite level of revenue. It’s normal for a small general contractor to generate millions of dollars per year using this model. I’m not saying it’s that easy for us videographers but it is relatively easy to exceed the six-figure mark each year using a similar approach to running a video production business. There’s a reason why managers and sales people make the most money in our world. It’s definitely an art but either skill set can be learned by pretty much anyone if they are willing to spend the necessary time to study it. When working with my sub-contractors/freelancers, I make sure they know their responsibilities, my expectations and my desire for perfection. The strong survive and the ones who can’t hang are not asked back to the table on future projects. This approach pretty much separates the wheat from the chaff and I’ve been able to build a strong nucleus of freelancers doing it this way. If your clients are happy, and your equipment is in good working order, I wouldn’t worry about upgrading your gear just yet. In this economy or any for that matter, cash flow is supreme. Guard it like you may never make another dollar and you’ll be way ahead of the pack. I think you’ll find though that as you start to reach out to various sub-contractors/freelancers, you’ll be able to affordably shoot your projects with just about any type of 3 chip camera you want, and you can even edit everything at the highest possible quality settings. Leverage other people’s investments on your projects so your clients get the best benefit for their dollars. Regarding a step you can take towards this, I suggest that you write down every step in your production process from the very minute after you get a signed contract. Step 3 – Research client products/services, etc. Then, go through and look at each step and ask yourself which steps only you can do. If you want to take control of your video production business, consider finding people to handle the steps that take time but just about anyone can do. Afterwards, go about finding people to provide those services for you at the best rate you can find. A mistake I made early on is that I felt like people wouldn’t do this work unless I paid them between $15 and $20 an hour. I soon learned that it’s possible to get quality work by paying anywhere from $7 to $10 an hour based on the task. These are non-expert tasks, mind you. I don’t really promote free video production work to non-profit organisations, but I’m open to offers if I think I can add value. If you don’t know if you will agree to work with these people on a pro bono basis, here are some questions you can ask yourself. 1. Are some of my best video clients part of this non-profit organization? If your clients are part of this organization, this is the best way to enhance your connections with them, especially if you make thousands of dollars on each of their projects. It’s a personal way to show them that you have the same principles when it comes to helping the community. Just be cautious in committing too much on these projects, because they might get in the way of all your scheduled projects for paying clients. At the end of the day, we’re running for-profit companies, for better or worse, and our businesses only survive if we’re paying the bills and putting food on the table. 2. Are my prospective customers associated with this non-profit? If this is the case, I will give you the same reasons that I’ve mentioned above. If you get to be involved personally with the corporate heads of these prospective customers, it will be easier for you to get business with them in the future. The next time you see them, you’ll not have any problems thinking about a topic to start a conversation! Just mention this non-profit event and you’re on the right track. 3. Will I get free advertisement for my company if I get involved with this free project? If you work for this organization for free, it’s alright to ask them to do something for you. You can request that your website’s link appear on their site. You can tell the organization to include the video you made (along with your company name) in the email newsletter they will send out. You can ask that you get a graphic on all the promotional material for the events, including banners, flyers, posters, etc. This is a great method of marketing your company. You can, of course, also have them mention your name and company during their fund raising events live and in-person. To get everything you need from your work, make sure that your video production business is also promoted during the event. It is important that you take advantage of this exposure if you want to make the most out of doing this work for free. I’ve jumped around a bit with this article, but I hope you’ve gotten a lot of value from it. Let me know in the comments below. As always, I appreciate any feedback, questions and thoughts in the comments below. And please feel free to share the article using the share buttons just below. 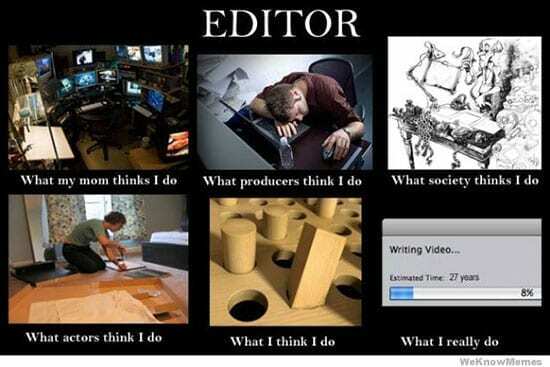 I’m a Final Cut Pro guy (version X) and an Apple guy. You can get great results using any of the industry standard video editing applications (both at a freelance videographer level and those at a pro filmmaker level like Avid).